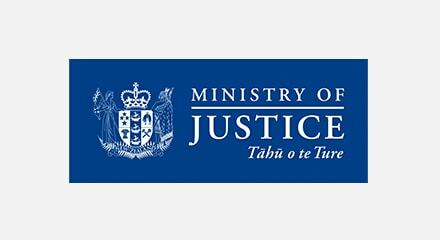 Find out how New Zealand Ministry of Justice met their goals of efficiently increasing the collections rate, resolving fines faster and minimizing operating costs. In these times of economic constraint, governments everywhere are keeping a watchful eye on their fiscal responsibilities. Revenue shortfalls can have the cascading effect of restricting services and operations, and reducing aid to citizens. Therefore, as part of their accountability toward good governance, agencies must strive to implement the most effective way possible to collect on revenues owed. Clearly, debt collections activities are of vital importance to this end, as the New Zealand Ministry of Justice Collections Unit—which is responsible for the country-wide collection and enforcement of an ever-growing number of fines—is only too keenly aware. The large number of disparate systems made it impossible for managers to quickly get a consolidated view of any part of the operation, so there was no way to prioritize or execute work on a national basis, let alone measure the associated costs. The need for streamlined workflow management was very apparent. “With Genesys iWD, we now have immediate, clear visibility into the pipeline of fine collection activities and every aspect of the operation—from a national perspective right down to individual team members’ assignments—so that we can understand the greatest areas of opportunity,” said Says Bryre Patchell, General Manager, New Zealand Ministry of Justice Collections Unit.